I almost finished one sweater for the Princess, and started on her second. 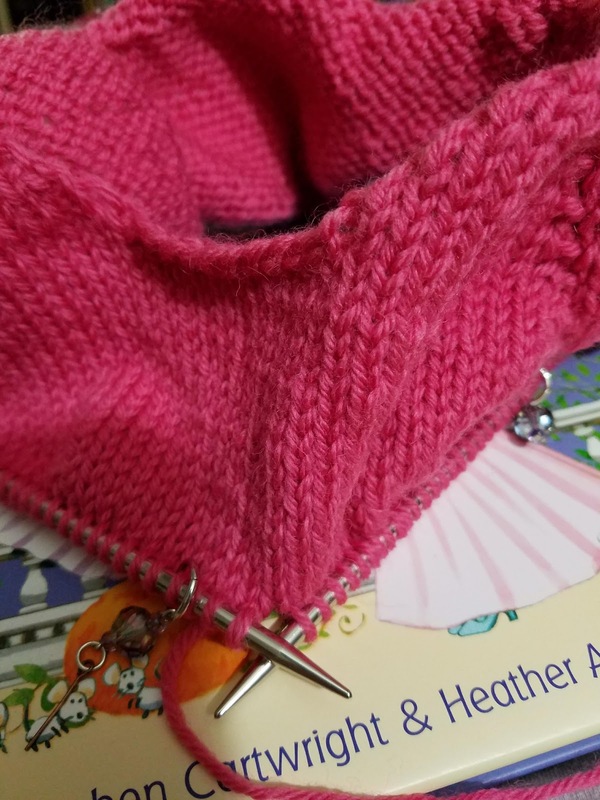 This is a plain stockinette sweater, in a beautiful pink. She gets 2 pink sweaters this year, and I might get to make her a turquoise one later. I have more to do for Christmas. I am close to beginning the front half of my Vneck Boxy as well. I use that for TV knitting at the moment, as I am still following the pattern for the sweater. It is the Classic Child's Raglan by Jane Richmond. Definitely worth the money, as I have made at least 4 sweaters from it now, and will probably make at least 2 more.